The 10 Best Kid-Friendly Dentists in Kansas! When it comes to choosing the right dentist for your child, a lot of research is necessary. From having clean and fun facilities to having flexible hours and appointments for you, these Kansas dental offices are among the very best at offering outstanding experiences and top-quality work. Here are the 10 best kid-friendly dentists in the state. Jenkins & LeBlanc and their team of highly experienced dental professionals have been serving the Kansas area for many years. They are known for offering the best quality oral care and helping by educating their patients and families about the importance of oral health care. Sunny Day Pediatric Dentistry is a one of the best kid-friendly dentists that offer personalized attention to all of their patients and ensure your child’s first dentist experience will be a fun one. Their dentistry is warm and welcoming and they even allow parents into treatment areas to ensure the kids are happy and comfortable. Fales Pediatric Dentistry located in Olathe is known for helping families by providing superior oral health care for all their patients. They understand and help foster good oral hygiene practices for your children to help them retain lifelong healthy smiles. The 400 pound gorilla in the room is how chill #theMinnow is at the dentist. Happy Smiles located in Kansas City, Kansas, is a group of highly experienced dentists whose goal is for your family to feel confident and happy with your smiles. Their high-quality dental care starts with a customized treatment plan tailored towards you and your children’s goals which ensures you have an awesome personalized experience. Starting Point Pediatric Dentistry is home to Dr. Roth and his team of experienced dental assistants. They have been providing top notch dental care to the Overland Park and Kansas City area for many years and strive to be extremely patient focused and treat their customers like family. Cool shades on a HoT dAy! Thanks for visiting us on the hottest day of the year! Tiny Teeth Pediatric Dentistry located in Wichita provides dental services to all kids from infants to children to teenagers. They are known for using cutting edge techniques such as laser dentistry and provide comprehensive dental services such as preventative, restorative, and even esthetic care. Dr. Michael F. Iseman, also known as Dr. Mike, and his awesome team at Wichita Pediatric Dentistry help children of all ages achieve their oral health goals. Their high quality equipment and up-to-date training ensure that your children receive the most current types of care and maintain ideal oral health throughout their lives. Charlotte had 6 baby teeth pulled today to make way for her adult teeth that are already coming in. I can't say enough good things about her dentist though. He was very calm and patient with my anxious girl. He's the best!! Drs. Parrish and Stinnett and their friendly staff have been serving the Kansas area for years by offering a kid-friendly environment and high quality dentistry work. 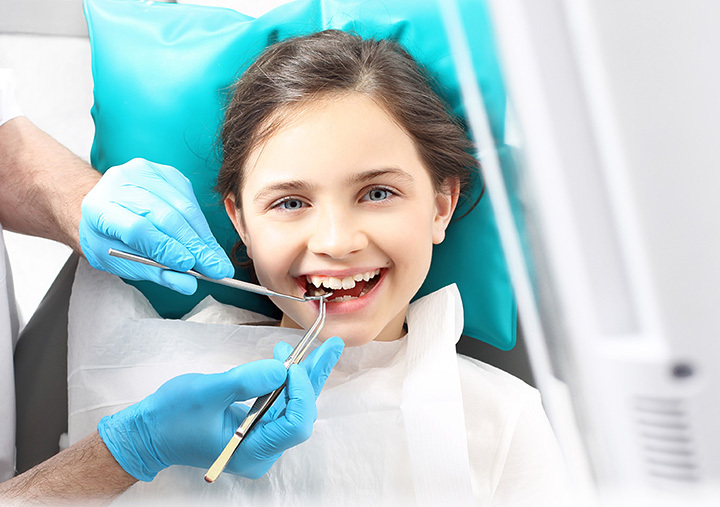 Their extreme thoroughness will help you understand your child’s oral care needs and they are dedicated to completing procedures with the utmost attention to detail and quality. Dr. Matt Hillman and his great staff at Smiles Dentistry For Kids provides amazing pediatric dental care to the Overland Park, Olathe, and Kansas City areas. Their motto is to create a lifetime of smiles by being a friendly, experienced, and highly educated team of dental experts who will treat your family like their own. The Stanley Pediatric Dentistry is committed to offering the highest standard of dental care to your children. They strive to make their dentist office pleasant and comfortable while helping introduce oral health care to your children and making it an important and fun part of their lives.